FRIDAY: THE Wide Bay Hospital and Health Service will investigate an incident of patient harm at Maryborough Correctional Centre on October 8. The investigation is a normal part of the Clinical Governance procedures that is undertaken automatically when patients are harmed while in the care of the WBHHS. The WBHHS will not be making further comment on this incident or the investigation until a final report is completed. EARLIER: A 21-YEAR-old Maryborough inmate is still fighting for his life, after he was severely bashed on the head. He is described to be in a critical, but stable condition in a Gold Coast Hospital. The young man was placed on life support after being transferred to the Gold Coast a few days ago, following a violent attack with a mop bucket from three other fellow prison inmates. The attack caused him severe head injuries. 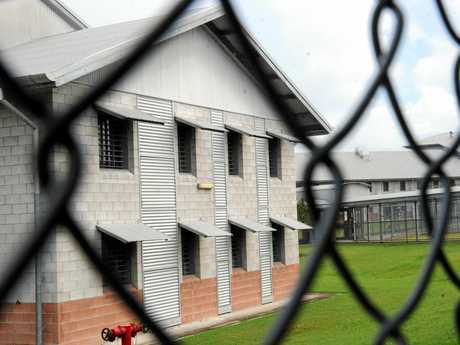 A prison source told the Fraser Coast Chronicle the attack occurred in the morning but the victim was returned to his cell and he wasn't transferred to a hospital until later that afternoon. The source said it was only after the young man had lost control of his bodily functions, was foaming at the mouth and suffered seizures that he was taken to see prison medical staff who called for a transfer to a hospital. When asked whether the prisoner had been given adequate medical attention in the hours following the attack, a Queensland Corrective Services spokesman said an investigation had been launched. "QCS has been clear from the outset that this incident was referred to the Queensland Corrective Services Investigation Unit for investigation," he said. "As such, it would be entirely inappropriate and unfair to speculate about circumstances, so QCS will not make any comment while this police investigation is under way." It comes as the Maryborough prison experiences a spike in violent altercations.